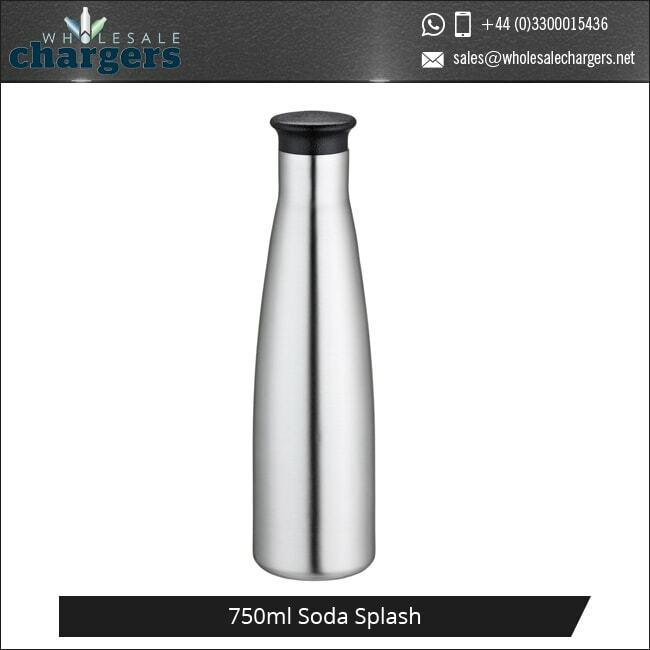 With Soda Splash you can carbonate anything you drink with this beverage carbonating system and keep the drink for upto 2 weeks in a refrigerator. This innovative simple system allows you to infuse CO2 into any flavoured or non-flavoured liquid placed into the canister. A soda splash is a great way to prepare your own carbonated or infused beverages. It allows you to make your own sparkling refreshments or cocktails in seconds with a push of a button or a squeeze of a trigger. The soda splash is designed with a built-in relief system for comfort and safety of use. Dishwasher safe and you can also clean it in warm soapy water. The soda splash allows you to infuse Co2 into any of your favourite drinks, simply store in the cannister and keep for up to two weeks in the fridge. 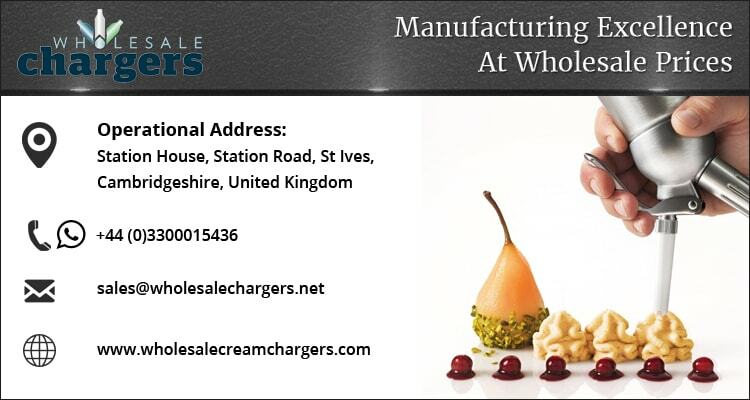 Great for bars and barristers, does require c02 soda chargers. 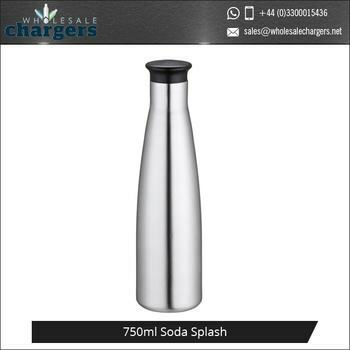 The 8g soda chargers are easily available and suitable for use with beverages. Designed to make the soda splash easy to hold and use, the wide neck makes it easy to add liquids and ingredients as you go. 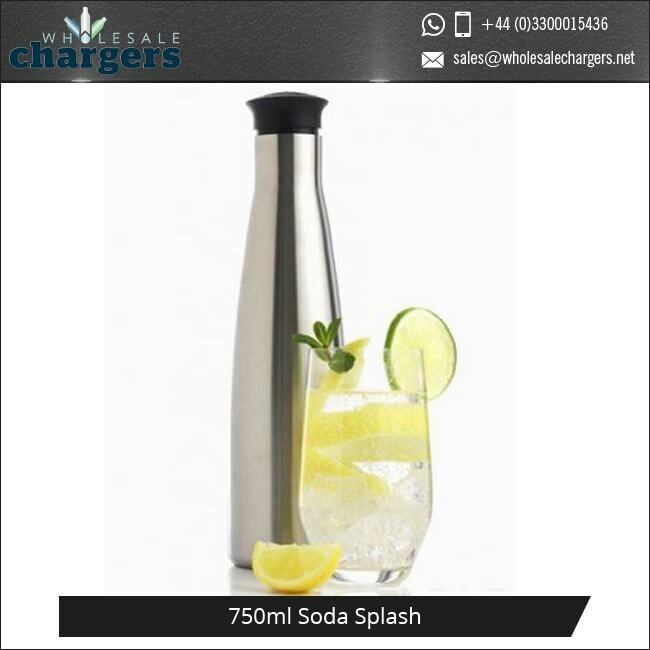 The replaceable 8g co2 soda chargers are easy and safe to use, perfect for beverages. When the 8 gram Co2cartridge has fully run out, simply remove and easily attach a new replacement 8 gram soda charger to keep making, carbonating and infusing your beverages. Carbonating your drinks can actually help you to enjoy the taste and the sensation of your favourite, wine, cocktails, fruit teas and juices, simply add you drink, screw on the lid and use your soda siphon. Give it a quick shake, let it rest and its yours to enjoy. Infuse new tastes into wines or spirits, try something new, mixing herbs and spices into your favourite wine, adding new tastes and aromas to enjoy. 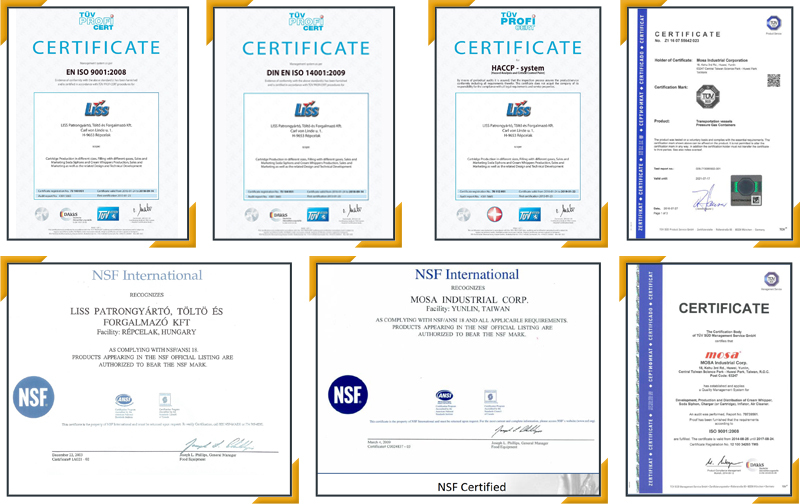 Our manufacturers for this product Mosa, produce top quality Co2 products for the Worldwide Market. 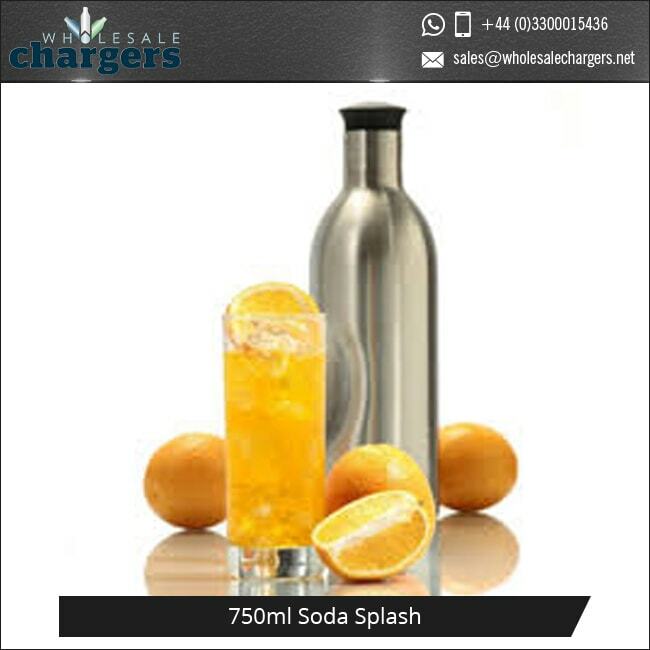 We can supply any Liss soda chargers, Mosa soda chargers or any soda chargers iSi manufactured to carbonate and infuse with this soda splash. Ordering with us is great as we provide all of our products in bulk, with only safety information on the product. You are free to customise, design and colour the products any way you feel is best to grow your business and make a name for yourself as a quality business.